Hoshea ("the Lord's salvation") was the last king of the ancient Kingdom of Israel. During his reign Israel was conquered by Assyria and the people of the ten northern tribes of Israel were taken into Assyrian exile or otherwise "lost." Bible scholars generally agree that Hoshea's reign began in 732 B.C.E. and lasted ten or eleven years. Seizing the throne during the ascendancy of the Assyrian Empire, Hoshea was required to offer substantial tribute to Shalmaneser V. Hoshea later decided to rebel and withhold payment, anticipating aid from Egypt. Shalmaneser had Hoshea arrested and then laid siege to Israel's capital of Samaria. 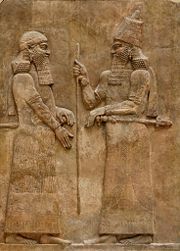 After three years, the Assyrian army withdrew to secure the succession of Sargon II to the Assyrian throne. It is believed Sargon completely pacified the area by 720 B.C.E., deporting a reported 27,000 Israelites beyond the Eurphates River and emigrated various foreign peoples to colonize Israel under Assyrian administration. The author of the Bible's Books of Kings states that the northern kingdom's demise occurred "because the children of Israel sinned against the Lord," not because of a political miscalculation on Hoshea's part. The deportees were scattered throughout the East and are popularly known as the Lost Tribes of Israel. Those who stayed in Israel and intermarried with the colonists formed the mixed-blood people later known as Samaritans. The Kingdom of Israel had reached the height of its power during the reign of Jeroboam II (c. 783), who succeeded in achieving independence from Syrian dominance and bringing the nation to a high degree of economic prosperity. However, this affluence gave rise to moral and spiritual corruption, to which the prophets Amos and Hosea formed a nucleus of opposition. A period of instability followed when Jeroboam's son Zechariah was assassinated by Shallum, who in turn was put to death by the military commander Menahem. The rising Assyrian Empire, meanwhile, now posed a major threat. Menahem staved off invasion by paying tribute to Tiglathpileser III, as did King Ahaz of Judah. Menahem's son Pekah, however, formed an alliance with King Rezin of Damascus (Syria) and attempted to influence Judah to join in revolt against Assyria (II Kings 16:5; Isa. 7:1-6). Judah did not respond, and when Israel and Syria attacked Judah as a result, Tiglath-pileser came to Judah's aid. Menahem's son Pekahiah ruled only briefly, being assassinated by the usurper Pekah, around 735 B.C.E. 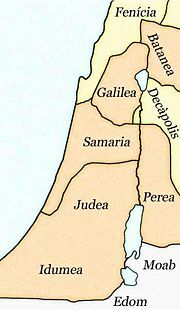 During this time, the Assyrians succeeded in annexing the Israelite territory of the Galilee, leaving Israel with only a small area of land surrounding its capital of Samaria. Pekah's reign was put to an end when he was assassinated by Hoshea, possibly in an attempt to put a stop to the policy of resistance toward Assyria. Hoshea was a vassal to Tiglath-Pileser III, who boasted that he had made Hoshea king. The son of an otherwise unknown man named Elah, Hoshea came to throne around 732 B.C.E. Hoshea's name in Hebrew, which means "the Lord's salvation," is the same as both the prophet Hosea and the Israelite commander Joshua, as well as the Christian Messiah, Jesus of Nazareth. The biblical version of Hoshea's becoming king is paralleled by a reference to him in the Assyrian records. The 2 Kings states that Hoshea conspired against and slew his predecessor, Pekah (2 Kings 15:30) and then took the throne. Meanwhile, an inscription of Tiglath-Pileser III (reigned 745–727 B.C.E.) 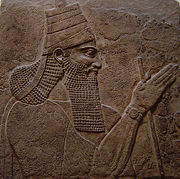 boasts of Tiglath-Pileser III making Hoshea king after Hoshea's predecessor had been overthrown. Scholars therefore speculate that Hoshea's conspiracy against Pekah, who had rebelled against Assyrian supremacy, received active support from Assyria. The Bible, however, indicates that Hoshea came to act as Assyria's vassal only after Tiglath-Pileser's son Shalmaneser V (reigned 727 to 722 B.C.E.) campaigned against him and forced him to submit (17:3). It gives the amount of tribute at 10 talents of gold and 10,000 talents of silver. To reconcile the accounts, it has been proposed that Tiglath-Pileser helped Hoshea to come to the throne, and then his son Shalmaneser found it necessary to invade Israel in order to enforce Israel's vassalage. Assyrian records confirm that Shalmaneser campaigned in Phoenicia, Israel's northern neighbor, in the years 727 B.C.E. and 725 B.C.E. Like all the northern kings, Hoshea is said by the Bible to have done "evil in the eyes of the Lord," but it specifies that Hoshea's evil was "not like the kings of Israel who preceded him." Based on the biblical description of the other kings of Israel, this probably means that he was personally a devotee of the Hebrew deity Yahweh and did not encourage Baal worship, but that he did support the Israelite shrines at Bethel and Dan, of which the pro-Jerusalem biblical writers strongly disapproved. Hoshea eventually withheld the tribute promised to Shalmaneser, expecting the support of "So, the king of Egypt" for this rebellious act. There is some mystery as to the identity of this king: some argue that "So" refers to the Egyptian city Sais, and actually means king Tefnakht or Bakenranef (Bocchoris) of the Twenty-fourth Dynasty, which tends to match the time period in question. However, others identify "So" with Osorkon IV or another king of the Twenty-second Dynasty, preferring to admit that the writer of the Book of Kings did not provide an accurate chronological match. Still others insist that "So" is Shabaka, a Kushite pharaoh of the Twenty-fifth Dynasty, beginning around 721 B.C.E., who may have offered support to Hoshea while consolidating the Nubian kingdom's control over Egypt. In any case, the hoped-for Egyptian aid was not forthcoming. Shalmaneser seems to have easily apprehended Hoshea, then laid siege to Samaria. Some scholars explain that Shalmaneser must have summoned Hoshea to his court to explain the missing tribute, which resulted in Hoshea's imprisonment and the Assyrian army being sent into his land. Regardless of the sequence of events, the Assyrians captured Samaria after a siege of three years. However, Shalmaneser died shortly after the city fell, and the Assyrian army was recalled to secure the succession of Sargon II. With the Assyrians gone, the leaders of Israel, who had resisted the Assyrians for years without a king, again revolted. Sargon returned with the Assyrian army in 720 B.C.E. and pacified the province, deporting the citizens of Israel beyond the Euphrates (some 27,290 people, according to the inscription of Sargon II), and settling people from Babylon, Cuthah, Avva, Hamath, and Sepharvaim in their place (2 Kings 17:6, 24). They forsook all the commands of the Lord their God and made for themselves two idols (at Bethel and Dan) cast in the shape of calves, and an Asherah pole. They bowed down to all the starry hosts, and they worshiped Baal. They sacrificed their sons and daughters in the fire. They practiced divination and sorcery and sold themselves to do evil in the eyes of the Lord, provoking him to anger (2 Kings 17:16:17). What happened to Hoshea following the end of the Kingdom of Israel, and when or where he died, is unknown. The last of the 19 kings of Israel, Hoshea is ironically considered by the biblical writers to be one of the better of the northern kings. Only Jehu, the pro-Yahweh usurper who ended the dynasty of Omri and Ahab, receives a better report; and he, too, does not escape criticism, for allowing the northern shrines of Bethel and Dan to operate in competition with the Temple of Jerusalem. 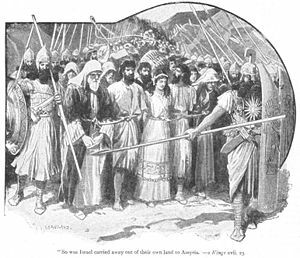 After conquering Israel's capital of Samaria, the Assyrians brought some 27,000 or its citizens into exile, replacing them with people brought from various areas of the Assyrian Empire. As these people intermarried with the remaining native Israelites, many of them came to worship the Hebrew deity Yahweh. Such worship, however, was not acceptable to the biblical writers, who insisted that Jerusalem was the only authorized shine at which sacrifice to Yahweh could be offered. During the reign of King Josiah of Judah about a century after Hoshea's demise, the northern shrine at Bethel was finally demolished. After the Kingdom of Judah itself was defeated by the Babylonians around 587 C.E., the people of Judah, too, suffered exile. When they returned and began rebuilding the Temple of Jerusalem, they refused help from those who had not gone into exile but had intermarried with or were descendants of Assyrian and Babylonian women, even insisting that Jewish men divorce their "foreign" wives. Thus, the ten northern tribes of Israel, over which Hoshea had been the last king, became "lost." Those who had not settled permanently in Mesopotamia eventually formed the kingdom of Samaria and the people known as Samaritans, who established their own temple dedicated to Yahweh at Mount Gerizim. Others eventually intermingled with the Jews of Judea as the restrictions against those of mixed ancestry lessened. Nothing is known of Hoshea's descendants. This page was last modified on 9 January 2019, at 00:16.